Meaning “massage” in the Hawaiian language, “Lomi Lomi” is the soft Hawaii Massage executed by one or more therapists. It is a rhythmical and flowing massage type that is applied particularly on the arms and elbows parts of your body; Lomi Lomi reduces stress by bringing out happiness and relaxation, for an experience that is just like a beautiful dance. Your articulations get loose and your spirit is liberated with these warm-hearted and welcoming touches, sweet smelling warm body oils and Hawaiian music, thus a deep relaxed feeling is achieved.60/90 min. This massage was born out of Ayurveda which is the “science of life” in India. Indian Head Massage is a special massage that is applied with aromatic oils in the upper body, shoulder, neck, scalp, hair and face regions. It accelerates blood circulation and reduces stress by relaxing your muscles with its special technique. It relaxes and rests your mind and cleans you of the problems stored within your body from emotional stress .45 min. As Leonardo Da Vinci said, ‘’feet are a wonder of engineering’’. Reflex points within the feet, correspond to all other points throughout the body. It is a pressing technique applied with the hands and fingers. With this method the body's own mechanism of self-treatment are enhanced by physiological activation and relaxation of the body... 45 min. This is a massage of Far East Thai-origin which includes pressure movements on the points over the energy channels in your body, in order to ensure energy flow balance. The massage also includes passive yoga movements on a large ground cushion for the flexibility and activity of articulations. In general, stretching and pressing movements are dominant in this massage. At the end of a Thai massage, the person obtains a perfect result. All of the muscles of your body relax, gains wellness and your energy reaches a peak level at the end of this Thai massage. The feeling of rest and the elimination of stress during this massage is maintained for a long while.60/90 min. This therapy begins with placing heated volcanic stones on certain parts of your body. Sliding and rubbing volcanic stones on your body absorbs the stress and aches in your body. This therapy removes throws toxins from your body and ensures relaxation and deep circulation, which is extremely important for the lymph system. 60 min. An ancient therapeutic healing massage which originated in India more than 5000 years ago. The meaning of the word is the science of life. Ayur means life and veda means science. The purpose of this massage is to restore integrity of body, soul and mind. It calms the soul and gives vitality. It opens all the energy channels and contributes to restoring the joy of living. 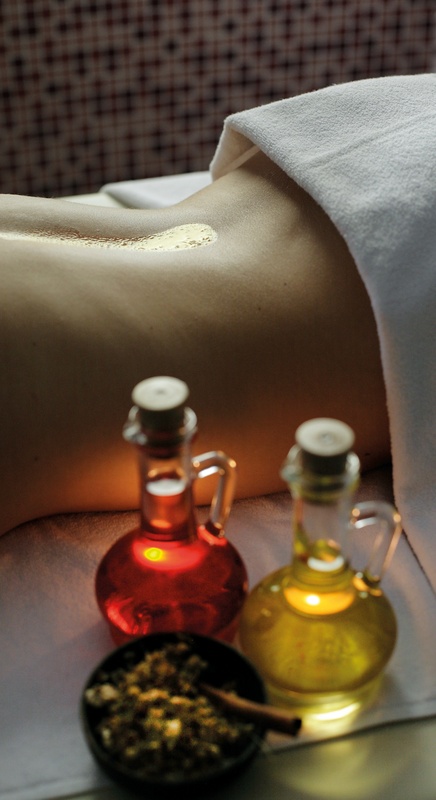 Therapists start this massage with a very special hot oil. 60 min.